Create a reminder potential guests can take with them when you order the Billiards Postcard before your next tournament. 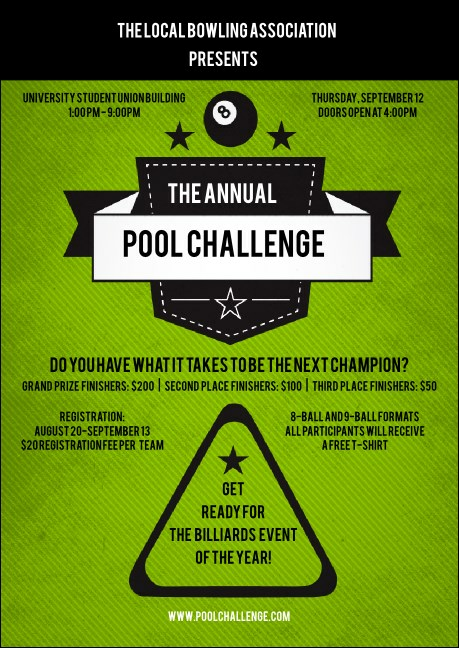 The bright green background of this template is reminiscent of the felt of a pool table, complete with a rack and and 8 ball. Send a message to your competition with the right postcard from TicketPrinting.com.